The Brynje Wool Thermo T-Shirt with Inlay is a unique base-layer designed for all-year use. This garment is produced using merino wool and polyamide. Devised by a team with years of winter expedition experience between them, the merino mesh system helps to create a garment with excellent moisture-wicking ability. While it may sound odd, this mesh system has been tested and proven over decades' of expeditions in some of the harshest environments. 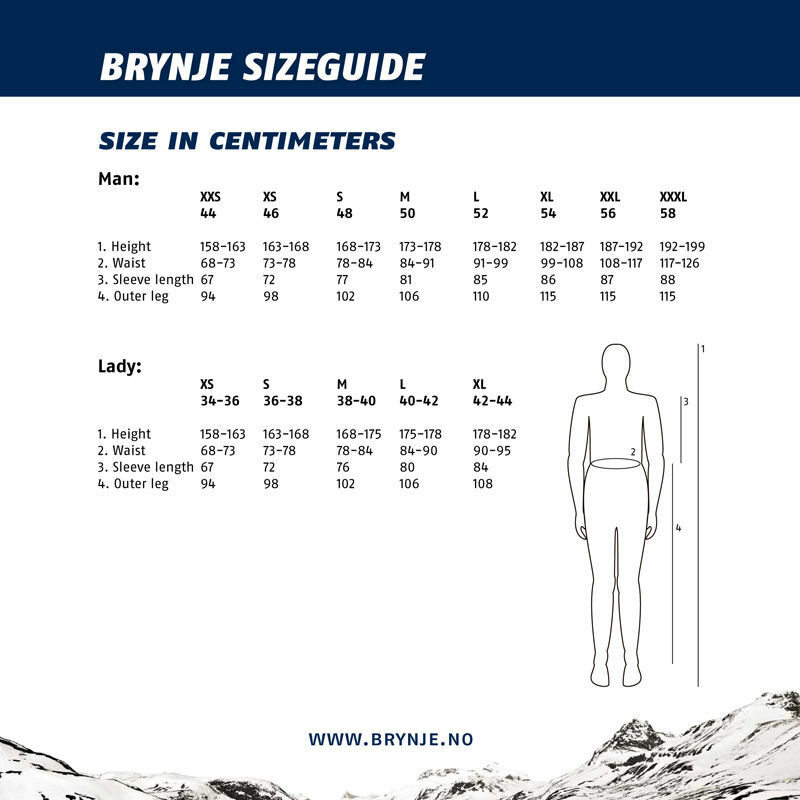 In fact, Brynje clothing was worn by the adventurers Sir Edmund Hillary and Tenzing Norgay, on their legendary expedition to scale Mount Everest in 1953. When worn underneath a merino wool mid layer, it provides an extremely soft, warm and comfortable feel, as the mesh helps to trap pockets of air giving superb insulation. This Bryjne Wool Thermo T-Shirt with inlay is designed with half-length sleeves and also features solid inlay fabric on the shoulders, for protection when wearing a rucksack. This garment has been designed for year-round use in cold conditions, including extended winter expeditions. Also ideal for multi-day activities, canoeing, cycling and hiking. The Wool Thermo range of clothing has become one of Brynje's best sellers, thanks to the enhanced functionality of wool. The Brynje Wool Thermo T-Shirt w/inlay is exclusive to Woodlore within the UK. 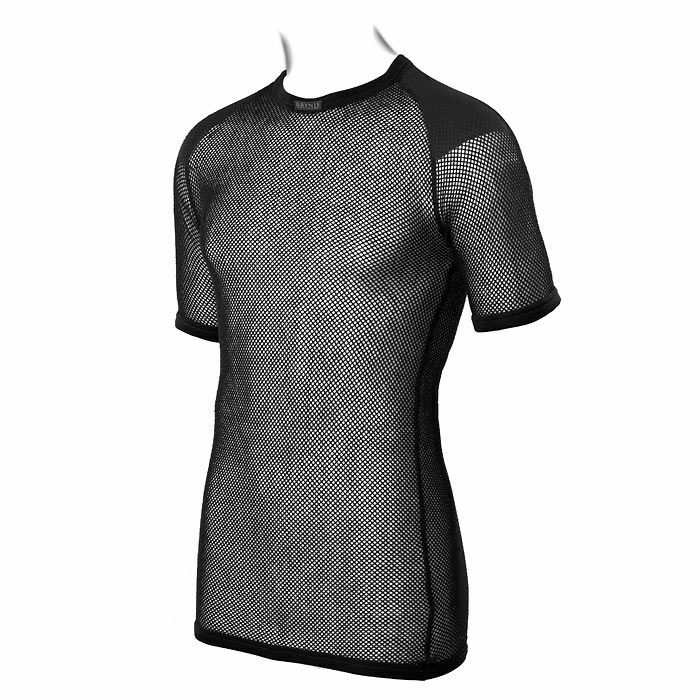 Brynje Wool Thermo T-Shirt with Inlay - Black is rated 5/5 based on 7 customer reviews. Bought very recently but impressively effective immediately. Age, heart condition and medication mean a lot of sweating and susceptibility to cold. My Hilltrek Ventile jacket is great but when the wind is strong and the chill-factor is high any inner sweatiness on the windward side gives rapid cooling. This vest does away with 99% of this effect. I can wear a light cashmere over it then my Ventile and keep comfy without sweat-cooled areas. I would however, be an instant customer for a mid-layer bulkier-mesh vest to go between wool and Ventile to completely cut out cold bridges in the worst conditions. something on the lines of that polypropylene lining in Antarctic jackets by Fjallraven(?). OK I might just have to make do with a fishing net! The best base layer I own. I own a few different base layers and Merino Wool is the best material for this purpose, in my opinion. 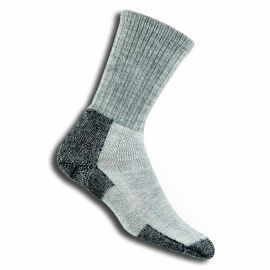 I used this particular one in -10 degrees celsius and below on a camping trip to Finland. I sweat quite a bit and It worked exactly as described, keeping me warm and dry as part of a properly implemented layering system. 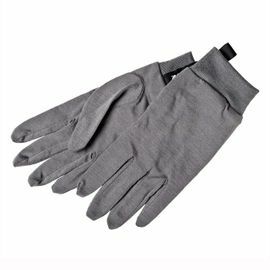 It Combines very well with another base layer over the top to create a stable layer of air next to the skin. I very highly recommend this product. Can be a bit catchy when putting on and off, other than that, great. 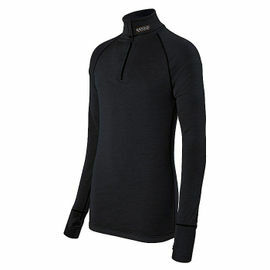 I have been using this in warm and cold conditions and I have to say this is the best base layer I've ever owned. The mesh type design dries you really quickly and it also keeps the warmth in cold. I Love it. Make sure to wash it with cold water not to shrink it. I did this once. 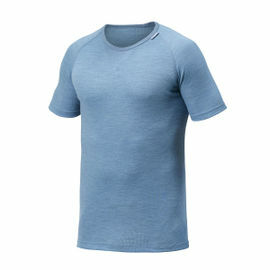 Soft, comfortable, great base layer for against the skin. Brilliant base layer, does indeed look a wee bit odd if it's your only top, and you are not into German techno, but, completely worth it. Packs so small, does so much. Only negative is that it can be found half the price elsewhere if you don't mind the wait for postage. Cannot however fault Woodlore for this product, great choice, great service, and I'd have never found it, if not for them. Brynje clothing, at first glance, looks really weird (think gogo dancer in an Amsterdam nightclub). Luckily, it’s a baselayer. I learnt about this sort of garment through Tim Severin’s book ‘The Brendan Voyage’, in which they are worn on advice from Icelandic fishermen. They were really pleased with their warmth. I started using mine while I was in the army training for the Cambrian patrol in Wales. I needed something both very light and very breathable, and found the closer-knit Helly’s too wet after running around with my bergen. 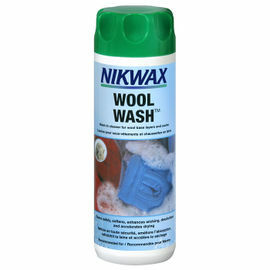 This stuff appeared to be quicker drying (open space is no barrier to vaporizing sweat) so I was warm again much quicker. On a river crossing at night in November, I wore it in the water; after that I wrung it out and we got dressed and had to speed march for 4 miles after which we had to stay static in a field for 2 hours in the cold rain. The Brynje was almost dry after being wrung out; it further dried on my body underneath my GORE-TEX jacket while marching, so I felt reasonably comfortable again when we laid still (after half an hour I added my Buffalo P6 Shirt only). Impressive! The garment is very long, and so protects my back very well which I do appreciate because I’m 6’ 4” tall and long shirts are hard to find. Nowadays I still use them for cycling, running or backpacking all year round. Not too warm and still very insulative and not smelly. The only drawback I can find is the net pattern on my skin after wearing it, or the laughing friends when I have to change clothes during a trip. I can live with that. Maybe one day I’ll even try to catch a fish with it, that will stop them laughing.